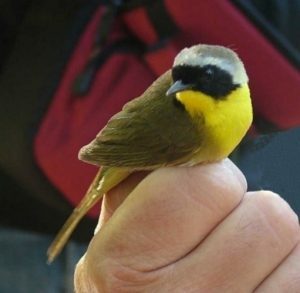 Join Master Bird Bander Strickland Wheelock and his team for a morning of bird banding at Inman Hill Conservation Area in Mendon (98 Inman Hill Road, Mendon, off Blackstone St.) on Saturday, May 4, 2019 from 7:30-10:30 AM. Rain date: Sunday, May 5, 2019. Additional morning sessions will be scheduled as weather permits. Space is limited and pre-registration is required. We invite current and new members to join us on this fascinating morning with Strickland. Donation levels are listed below. Please note that everyone MUST register in advance: registration deadline for May event is April 27th.